Will hydrogen be the long-term winner in the alternative fuel race? 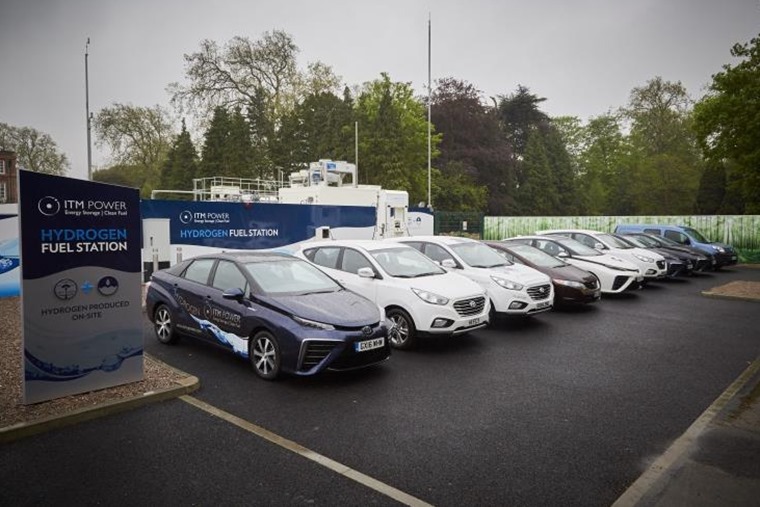 The past few weeks have been hugely important for hydrogen and it gaining wider acceptance in the UK as a potential replacement for fossil-derived energy. As well as making its motorsport debut outside of Japan with an impressive hillclimb performance at Gurston Down near Salisbury with a Toyota Mirai, a Hyundai ix35 Fuel Cell has just covered 406 miles on a single tank. 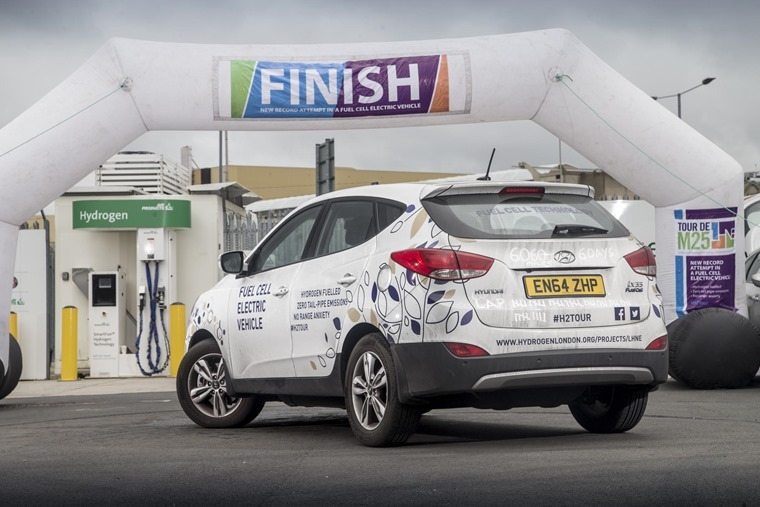 That’s the longest journey in the UK ever by a hydrogen-powered car and was part of an overall continuous trip of 6,096 miles over a six-day period. On top of this, hydrogen cars are slowly but steadily being recognised for their cleanliness. An example of this is Aberdeen City Council taking delivery of Hyundai ix35 Fuel Cells. These cars are being provided through a car club, so a wider audience can experience them. Should these drivers decide that hydrogen is the fuel for them, there is only one small problem and that’s the availability of hydrogen filling stations. Until now, that has been a severe limiting factor, but things are changing. 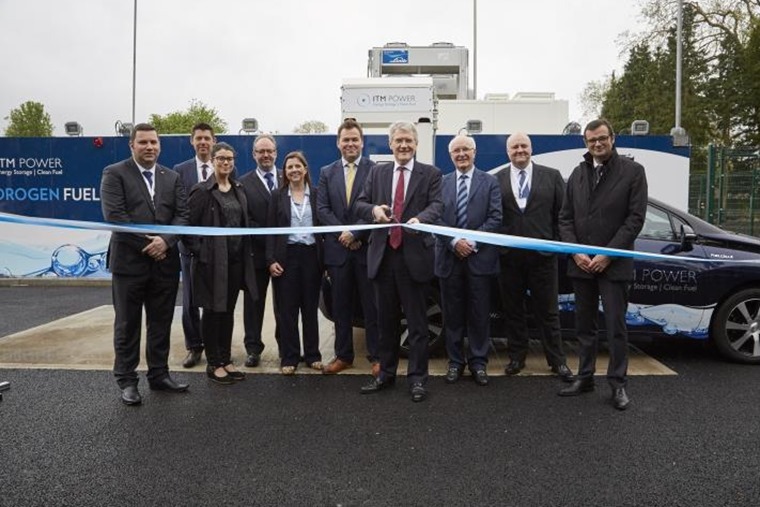 Drivers now have more options than ever for refuelling, as the first of five new hydrogen fuelling stations in the London area has recently opened as part of the pan-European HyFive project. Located in Teddington, appropriately at the National Physical Laboratory, the station has great transport links into and out of the south west of the capital. While not perfect or nearly as prolific as normal petrol and diesel filling stations, or even LPG, this is a significant step in the right direction. A further £5m of government money is being spent to assist with the launch of the new filling stations in 2016. By making it easier to access the fuel to replenish your car, the government believes it will help encourage more drivers to opt for hydrogen. This chicken and egg situation shows that hydrogen is still very much in its infancy as a viable fuel for most drivers in the UK. However, when you try a hydrogen fuel cell-powered car, it makes so much sense that it’s hard to see it as anything other than the long-term winner in the race to replace oil-based fuels. Some might scoff at that assertion and there are plenty whose first image of hydrogen as a fuel is the Hindenburg airship disaster. However, things have moved on a bit since the 1930s and, it must be remembered, cars powered by electric motors were very much in contention with petrol-fuelled machines at the dawn of the motoring age. Petrol won out because it was much quicker and easier to fill a tank than it was to wait for heavy, inefficient batteries to charge up. Again, the world has evolved massively since then and the new generation of hydrogen cars do not need a battery. Like fossil-fed cars with an internal combustion engine, these fuel cell cars use one type of stored energy to create another on the move. When that stock of fuel runs out, you refill the tank. Simple. 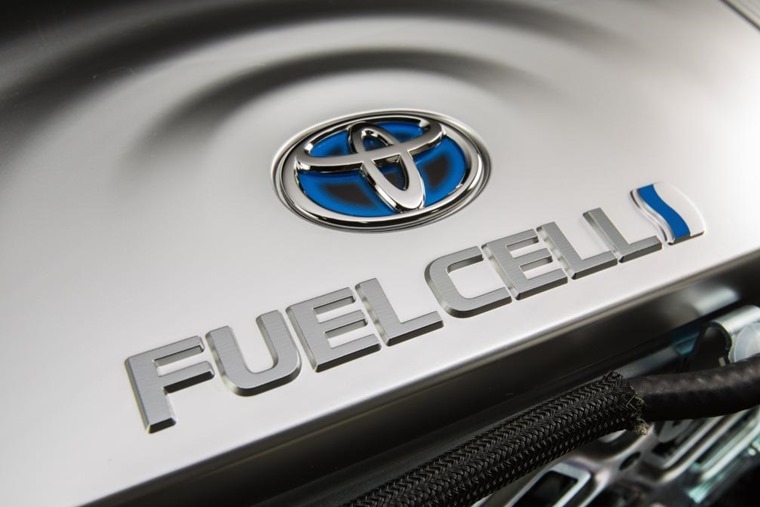 The way a fuel cell car uses hydrogen is to fill a tank with the gas. This is safely stored until it’s needed and can then be mixed with oxygen from the atmosphere to create electricity that’s used to drive an electric motor. Unlike a battery-propelled car, there’s no need for heavy storage of electricity as it’s generated on demand. The only by-product of this process is water. That’s right, plain old H2O and in the recent motorsport adventure with a Mirai the driver even brewed up a cup of coffee afterwards from the water created during the competition run. Another advantage hydrogen has over plug-in hybrids and pure battery cars is filling up with fuel at a dedicated station is a familiar action for almost all drivers. It requires less of a habit change from the user to shift to hydrogen. So, if hydrogen is so easy to use and such a clean fuel, why are we not all driving cars powered by it? Well, there is the hurdle to overcome of petrol and diesel being so widely and relatively cheaply available. The network of hydrogen filling stations cannot compete as yet with the blanket coverage of these filling stations. Perhaps a more fundamental problem is the cost of producing hydrogen and its fuel cells at present. Making hydrogen is already a £100bn per year business, but most of it is created for use in the oil refinery industry and to make ammonia and methanol. Most hydrogen at the moment is made from fossil fuels, but increasingly companies are looking to electrolysis. Hydrogen is already a £100bn per year business. This is the process of splitting the chemical components of water in two, so you have oxygen and hydrogen. The hydrogen can then be stored and when used it reforms with the oxygen in the air to make water again. During this process, electricity is made, but it also requires electricity to separate the water into its element during the first stage. One other hold-up at the moment is expensive platinum is used in most fuel cells, which adds greatly to the cost of production. However, this is being overcome and British companies are leading the way. Despite these obstacles to deal with, the outlook for hydrogen as the fuel to replace petrol and diesel as the main player looks good. We already have hydrogen-powered cars that fit easily into daily use and demand nothing from their driver in the way most EVs require a compromise. And, perhaps most crucially, many large car makers are working on hydrogen cars with a view to launching them in the next couple of years. When BMW, Mercedes and Volkswagen start spending on a technology, you can be sure they want a viable return. If the past few weeks mark a step-up in the acceptance of hydrogen as a mainstream fuel, the next few years will be the ones that decide if it succeeds.